DVA’s new High Res website is an eToolbox to help you cope with stress, build resilience and bounce back. The High Res website, helps veterans and serving members of the Australian Defence Force manage the unique mental stresses of military service. Along with the High Res mobile phone app, this resource forms part of the Australian Government’s suite of resources focused on the prevention and early detection of mental health conditions. The website provides interactive tools... and videos to help users build resilience and manage stress. It will also feature case studies about overcoming challenges during training, deployment and adjusting to life post-service, as well as a goal setting plan to help users improve resilience over time. 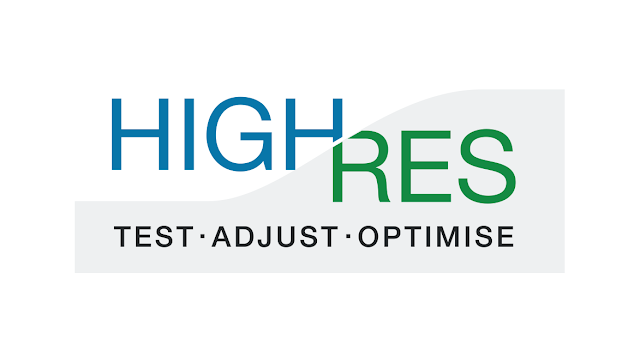 The High Res website is available on DVA’s At Ease mental health portal at www.at-ease.dva.gov.au/highres. The High Res app is free to download from the iOS App Store and Android Google Play. It is everyone’s responsibility to report fraud and non-compliance. We all have a role in ensuring that suspected staff, contractor, client or provider fraudulent behaviour is brought to the attention of DVA. Referrals of suspected incidents of fraud and non-compliance come from a variety of sources, including tip-offs. DVA encourages all staff, contractors, clients, providers and members of the wider community to report suspected incidents of fraud and non-compliance. DVA takes all allegations of fraud and non-compliance seriously and investigates these allegations to maintain the integrity of the repatriation system. DVA respects your privacy and reports can be made anonymously. Around 1 in 5 Australians experience depression at least once in their lifetime. Counselling can make a difference. VVCS also offers the Beating the Blues group programme that can help participants to better understand depression and to develop strategies to more effectively manage symptoms. To learn more visit http://www.vvcs.gov.au/…/GroupPrograms/beating-the-blues.htm or call VVCS during business hours on 1800 011 046. MyAccount for nominated representatives enables representatives of DVA clients to access Department services online. A ‘Nominated Representative’ is a third party authorised to represent a DVA client in their dealings with the department. Apply online to become a representative or to nominate a representative. Is your partner a veteran? Partners are usually the first to notice telltale behavioral changes in a veteran, so a supportive and mentally healthy partner can often assist in the recovery of a veteran with mental health concerns. VVCS has a range of counselling and group programs that can support you to maintain a positive relationship with your military partner and equip you with the skills to cope with the challenges of the military lifestyle. VVCS is available 24/7, by phoning 1800 011 046. VVCS offers a range of group programs across each state throughout the calendar year. To register your interest in attending a program in 2015, please phone VVCS on 1800 011 046. Soldier On - SA are hosting a 10 part Peace Education Program which conducted by volunteers of the Prem Rawat Foundation. This is a no cost event to all Veterans and their families to attend. After the successful information night that was held on 6 Aug, it was decided that this would be of great benefit to veterans and their families for understanding the PEP and what mechanisms it can assist with understanding day to day issues you maybe facing. This is in no way a cure for these issues, it is an education program. You can attend the modules that are related to you or attend all 10 of them. There have recently been some changes made to CLIK. · forms for assessing conditions are now available in PDF and Word format. If you are having difficulty accessing CLIK, or have identified any issues with the published content, please email CLIK@dva.gov.au, and the issues will be followed up.